Welcome to the official home of the Monster Truck Mafia. The Monster Truck Mafia is a group of the most talented, most extreme and most daring independent monster truck drivers in the world. Only a handful of drivers have what it takes to be a part of the Mafia. Being invited to join means that you are one of the best drivers in the sport and that you are wiling to put it all on the line in order to win. The Mafia isn't for the big money teams with an unlimited budget to blow - it's about highlighting the independent drivers who best fit the group's hard charging profile. Mafia members don't worry about crashing, broken parts, money or anything else - they only care about finding victory lane and making sure the fans go home satisfied. When you see a member of the Monster Truck Mafia at an event, you know you're in for one helluva show! Stay tuned for more updates on our elite team as we take on the competition in 2012. Follow us on Facebook for all the latest Monster Truck Mafia team news! The Monster Truck Mafia would like to thank all of the great fans who participated in the fan vote to decide our newest member. We had a great crop of candidates and after 1,743 votes were cast, we are proud to welcome Greg Winchenbach and the Crushstation "Monstah Lobstah" into the Monster Truck Mafia. During the Fan Vote process, we received an incredible amount of feedback that suggested we add more than one new member while we had the books open. We listen to the voice of the fans and so a plan was devised to expand the Mafia crew to a total of eight. Picking from the 4 runner-ups in the Fan Vote, it was decided that the current Mafia members would vote to choose one new member and The Godfather would choose the final new entrant. The 5 current, pre-fan vote members of the Monster Truck Mafia were polled and the results saw JR McNeal with Razin Kane receiving 2 votes while Donald Epidendio with Titan received 3 votes. Based on those results, the Mafia is very proud to welcome Donald Epidendio and Titan as part of the crew! For the final new member, The Godfather reviewed the results of the Fan Vote and the Mafia Member Vote, as well as the performance level of the three remaining trucks. The Godfather ruled that the runner-up in both the fan and Mafia member votes, JR McNeal with Razin Kane, would be the final driver to be "made" prior to the 2012 season. 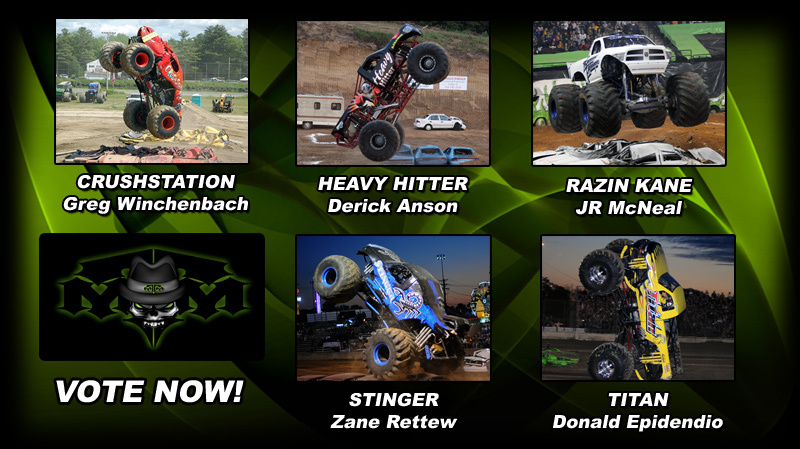 The Monster Truck Mafia would like to sincerely thank Zane Rettew with Stinger and Derick Anson with Heavy Hitter for being candidates and wish them the best of luck in 2012. We already know who is at the top of the list for the next time the Mafia opens its books! The Mafia is a group of the most talented, most extreme and most daring monster truck drivers in the world. Only a handful of drivers have what it takes to be a part of the Mafia. Being invited to join means that you are one of the best in the sport and that you are wiling to put it all on the line in order to win. Mafia members don’t worry about crashing, broken parts, money or anything else – they only care about finding victory lane and making sure the fans go home satisfied. The new additions to the crew effectively create a Mafia East consisting of Bad Habit, Crushstation, Ghost Ryder and Razin Kane, as well as a Mafia West consisting of Barbarian, California Kid, Rock Star and Titan. This gives fans all over the country a great chance to see a Mafia member in action and should also create a great rivalry between the two groups to see who can best put a hurting on the competition. The Monster Truck Mafia is ready to take our "Elite 8" and show the competition how's its done in 2012. 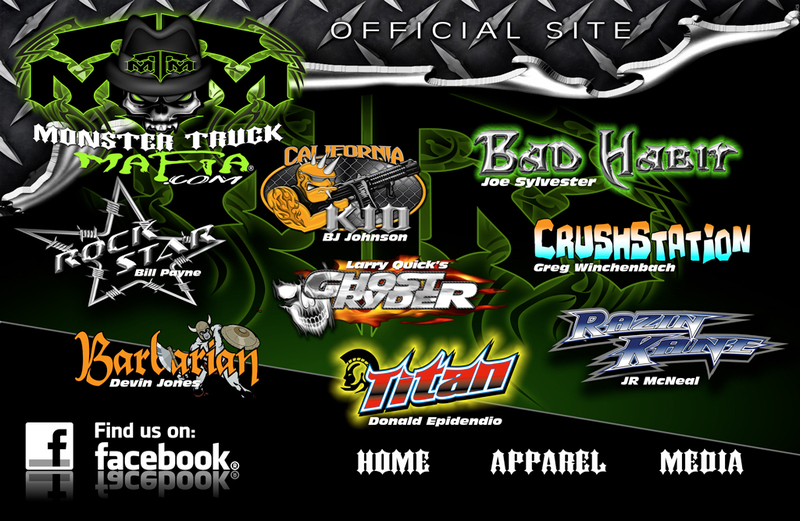 For more information on the Monster Truck Mafia, visit us online at www.MonsterTruckMafia.com. 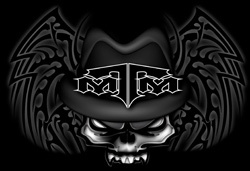 To keep up to date with all the latest Mafia news and updates, follow us on Facebook at www.facebook.com/mtmafia. 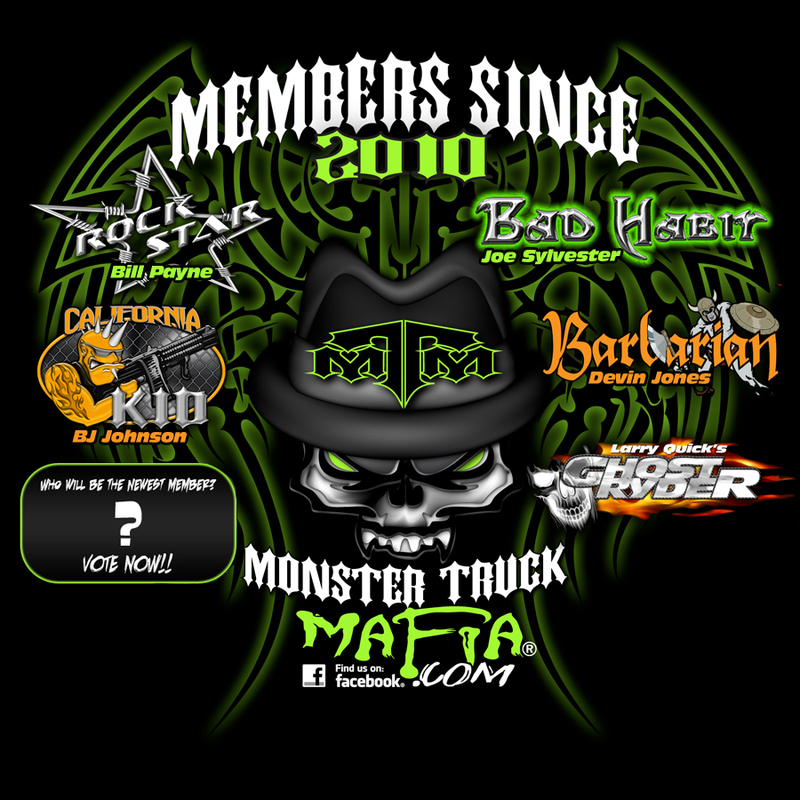 UPDATE 12/16/11 - FANS, we need YOU to help us choose the newest member of the Monster Truck Mafia! 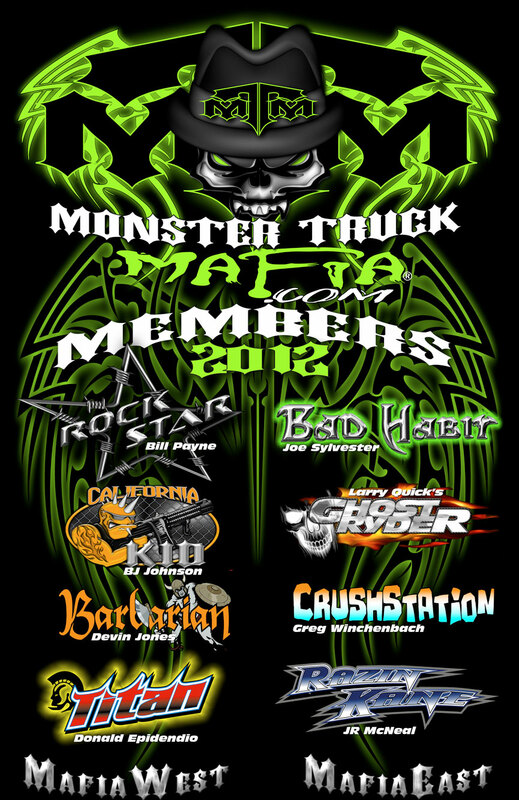 The Monster Truck Mafia is opening its membership rolls to one lucky driver in advance of the 2012 season! We've been looking for the perfect driver to join our ranks and we combed the entire monster truck industry searching for someone talented enough, extreme enough and daring enough to be a part of the Monster Truck Mafia! We've come up with five drivers that we like, but it's up to you, our FANS, to pick our newest member! Voting begins today, December 16th, and runs through New Year's Eve. At the stroke of midnight, voting will close and we will tabulate the results and announce our new member on New Year's Day, January 1st, 2012. 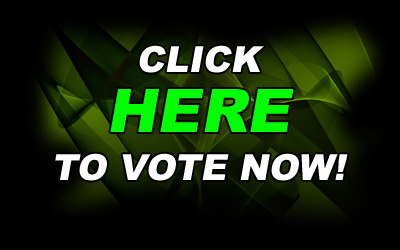 Every fan will have the opportunity to vote once. Then we want you to Like us on Facebook and tell us who you voted for!